Millions of these gift checks are used as employee and customer gifts and incentives. 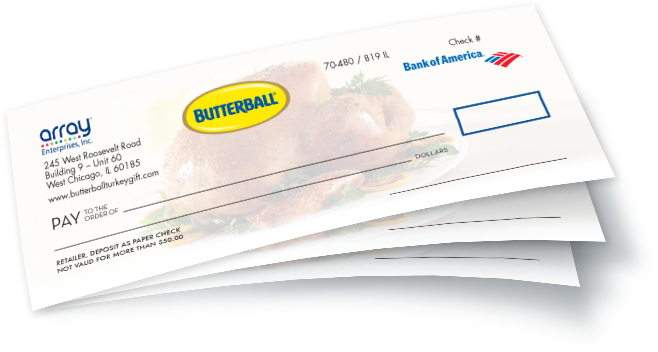 We're the company that evolved that program into its current success, and we'd like to create the same Gift Check success for your brand. Do you have a trusted, sought-after, recognizable brand? Employee and customer gift checks—used as gifts, rewards, incentives or loyalty programs—represent untapped and potentially huge growth opportunities for your brand. Our experts at Array will help design, develop, market and manage your brand's custom gift check program from A to Z. Seeking a gift check program partner? Our team of experts effectively deliver gift check programs to help companies say thank you to their hardworking employees and loyal customers year-round. Additionally, Array's sister company, Ultimate Choice, Inc. has been providing reward and recognition solutions for over 22 years to many of America's top brands, including McDonald's, Coke, UPS, Ace Hardware and Delta. Learn more about how a gift check program will produce profits for your brand. 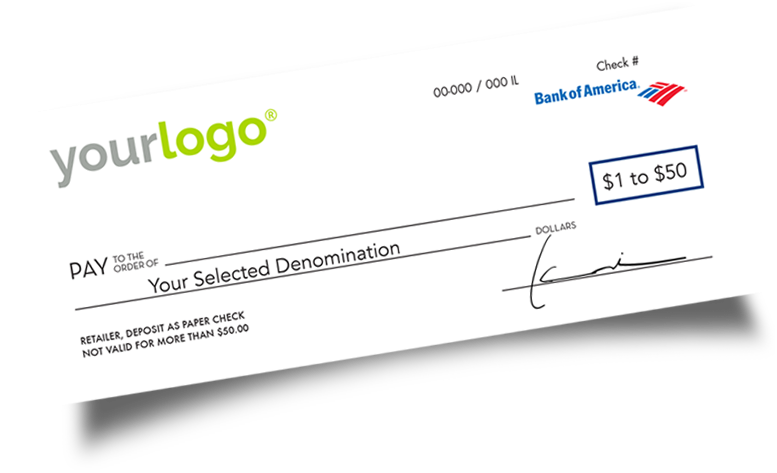 Develop check design with custom messages and logos. On Demand black and white/color printing, inventory management, and bulk or customizable shipping options. Manage inbound customer inquiries via phone and email. Check clearing and system monitoring (such as TeleCheck), fraud prevention (Positive Pay), and redemption point monitoring. Website design/evelopment, eCommerce management, email marketing, new customer prospecting, and referral programs. Our mission is to deliver the most effective, flexible branded gift check solutions to exceed our clients' expectations. Integrity, trust, passion, constant evolution and customer-obsessed services are at our core. Looking for more information on how our programs can deliver measurable results? Consult with one of our program specialists.